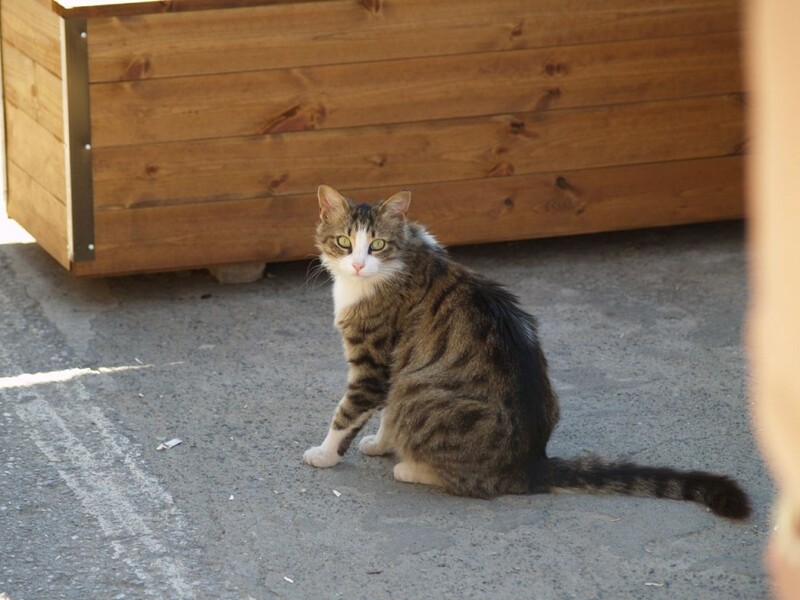 The Cyprus Cat is an ancient breed of landrace cats that are said to be inhabiting the island of Cyprus for at least 4000 years. 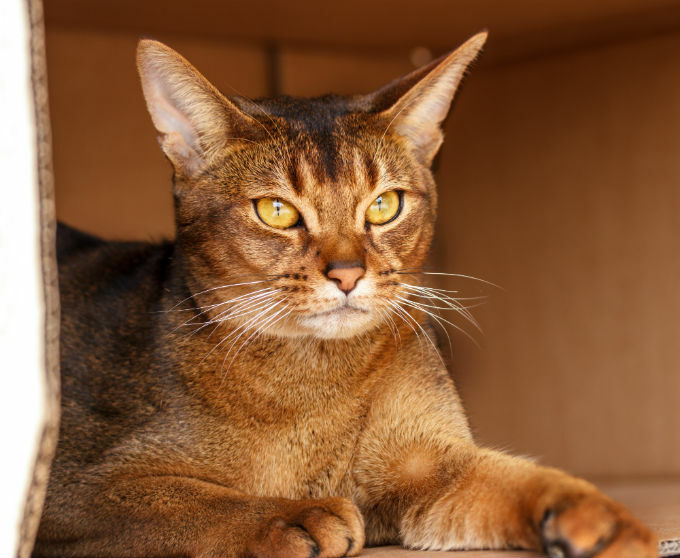 Considered to be one of the largest cat breeds, their population is currently dwindling. Nevertheless, they are spread all across the island, from the coastal to the mountainous regions, or from the warm to the cooler areas. In some places, large populations of this feline have become feral. 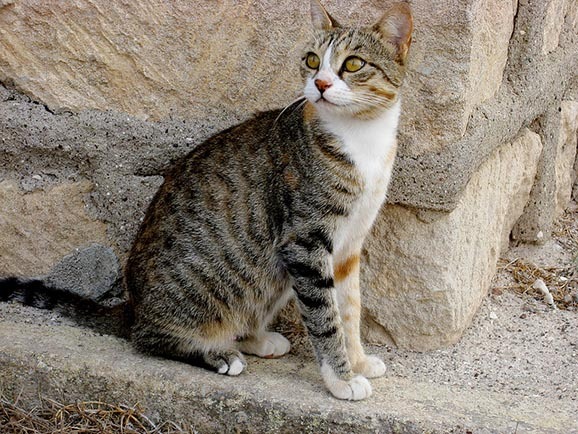 From the 4000-year old archeological remains of a cat interred along with its master and unearthed in 2004 in Cyprus, many researchers have come to the opinion that this breed is the oldest of the domestic cat breeds. Innumerous Byzantine legends narrate a popular legend as to how St. Helen saved her monastery, infested by venomous serpents, by importing hundreds of Cyprus cats in the 4th century AD from Egypt or Palestine. The monastery had two bells – one of which was used to call the felines for their meals, and the other one was rung to direct them to go the fields for hunting down snakes (and vermin). Having an unusual association to felines, the monastery also got a strange name – St.Nicholas of the Cats Monastery. 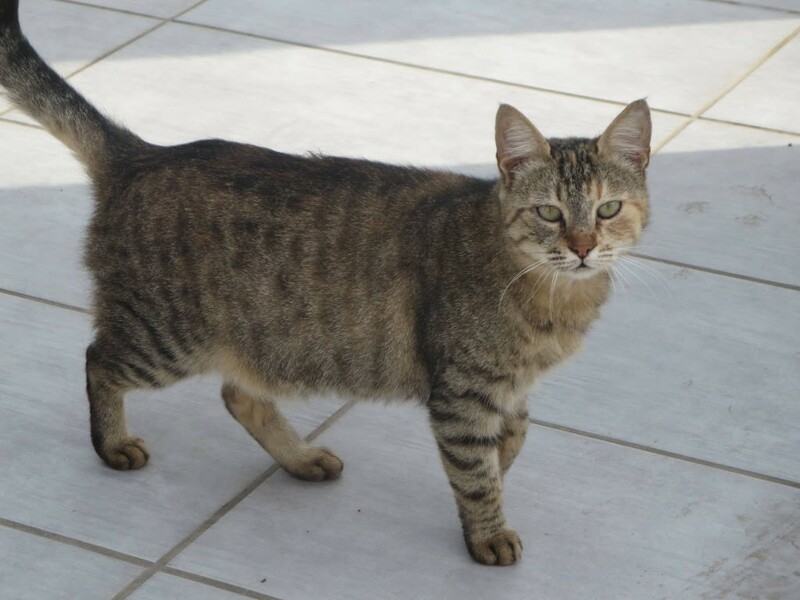 At present, the Cyprus Cat is not registered or recognized by any major cat fancier or breeder organization since it is not considered as a breed by itself, but a descendant of the ancient Egyptian cats. Shedding is moderate. Groom the Cyprus cat 3 to 5 times a week so as to enhance blood circulation as well as keeping the coat free from dirt and debris. 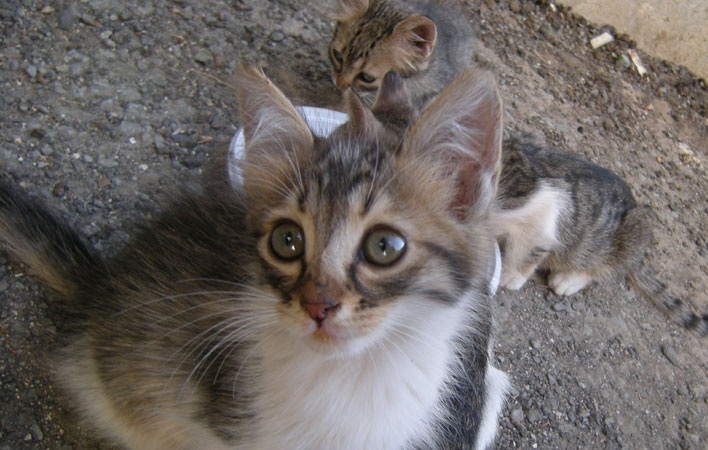 The Cyprus cats have no breed specific health conditions or illnesses. 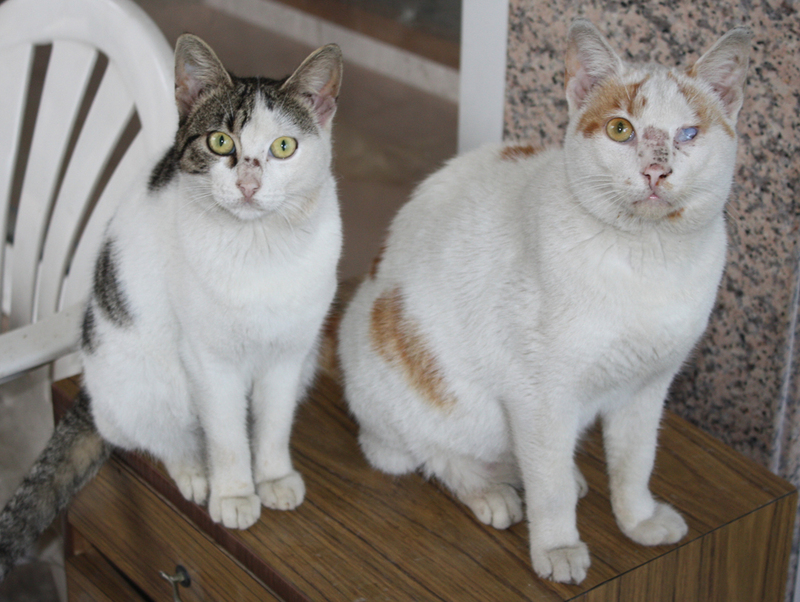 You just need to be aware of the common feline issues, since some incidents of diarrhea, fleas, feline lower urinary tract diseases have been reported. Since this cat loves staying at its whims and has a strain of independence, training might not be too easy initially. But since it is considerably intelligent and has a strong fondness for its owner, it won’t take long for it to pick up tricks. But the cat expects your company during training, along with a little cuddle and some treats. Premium brand dry kibble for cats is sufficient to keep your cat happy and healthy. Raw fish and meat (both red and white) are also suitable for this breed. Nobel Laureate Greek poet and diplomat Giorgos Seferis composed a poem ‘The Cats of St. Nicholas’, giving reference to the Cyprus cat breed. Published on May 13th 2017 by Shiloh Nevada under Egyptian Cats,Palestinian Cats. Article was last reviewed on 13th May 2017.